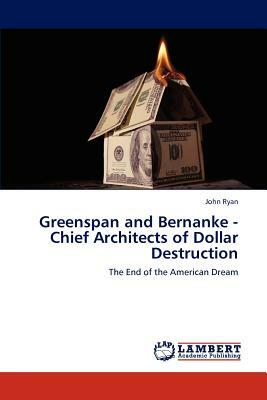 This book examines the Greenspan and Bernanke Federal Reserve which imposed an unwanted monetary system that favours Wall Street and is not beneficial for the US voter and the global community. Global confidence in the health of the US economy, and therefore the US Dollar, could plunge because of continued large US current-account deficits, an unstable banking sector, expansionist monetary policy and a financial regulation system that is lacking in credibility. The US monetary system is broken, and the public purposes for which it is supposed to exist are being thwarted. US banks and other financial institutions blew up a vast speculative bubble of financial products leading up to the crash in 2008. The deeply undemocratic process in the US monetary system is still directly supervised by the Federal Reserve. The US system, a quasi-independent and weakly accountable central bank is supposed to be responsible for all aspects of monetary policy. The Federal Reserve policy of stirring up inflation and devaluing the Dollar is called Inflationspolitik in German, synonymous with government deception and theft.